W.H. Chong wins Booktopia Designers’ Choice Cover of the Year 2018 at the 66th Australian Book Design Awards. Flash! W.H. 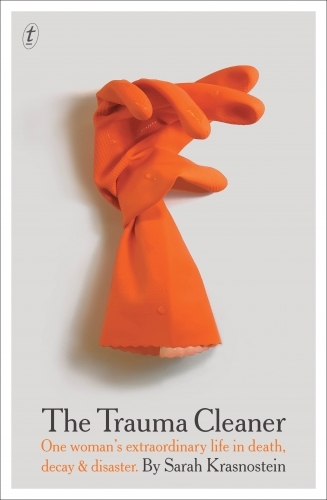 Chong has been awarded the coveted Australian Book Designers Association "Designers’ Choice Cover of the Year 2018" with his cover design for The Trauma Cleaner by Sarah Krasnostein. Chong is a highly awarded cover designer, previously inducted into the ABDA Hall of Fame in 2013. See the link below for a fascinating interview with Chong on that occasion. Chong’s exhibition Everything Changes is now showing Lone Goat Gallery until 13 June, with a free artist talk on Saturday 02 June 3pm to 4pm followed by the offical exhibition opening 4pm to 6pm. Congratulations Chong, Sarah and Text Publishing! Tickets link in bio. Limited spaces, book now!